Property renovation is a key part of any homeownership and, when it comes to the bathroom, it’s vital to take advantage of expert knowledge. 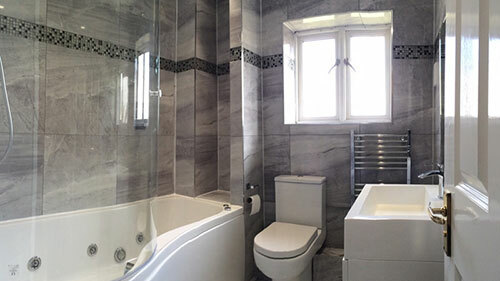 With AC Installations, you can be confident that you’re working with a bathroom fitter in Sevenoaks that has the skill, knowledge, and experience to fit the perfect bathroom for your home. For some bathroom fitters in Sevenoaks, installation of a bathroom suite might not seem like a big deal. To AC Installations, each and every project we undertake receives the same high level of attention and pride of place in our portfolio of work. Whether you’re looking to install a compact en-suite or replace a tired bathroom with something modern and contemporary, we’ll work alongside you throughout the entire project process. We’re proud to adopt an end-to-end service when it comes from fitting your bathroom. From initial discussions to sourcing the very best materials, right the way through to our Gas Safe registered inspections of the work upon completion, we do all we can to ensure that the resulting bathroom is of the highest quality. What’s more, we always strive to complete work on budget and on time. To learn more about the full range of bathroom fitting services available from AC Installations, or to discuss how we can help install the bathroom of your dreams, simply get in touch with our friendly team of experts today on 07718 622940. With over 20 years’ experience in bathroom fitting, you can rest assured you’ll received nothing by the very best.